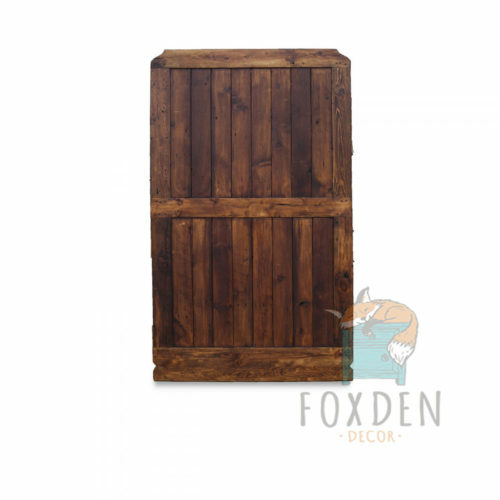 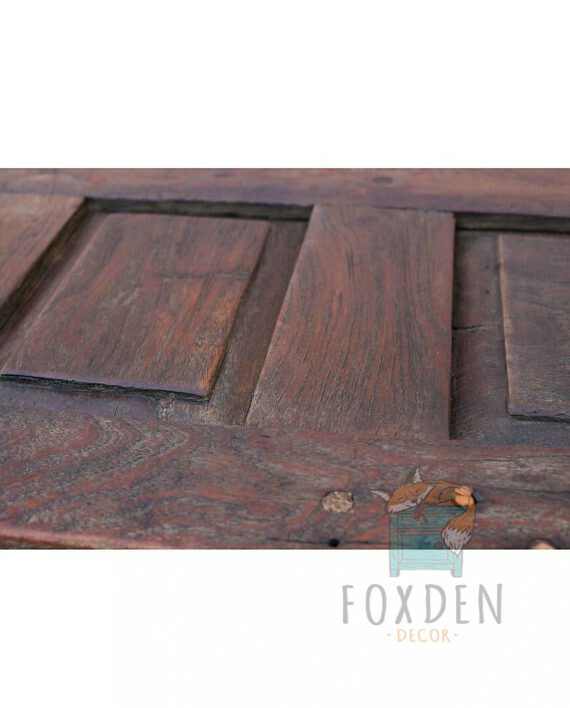 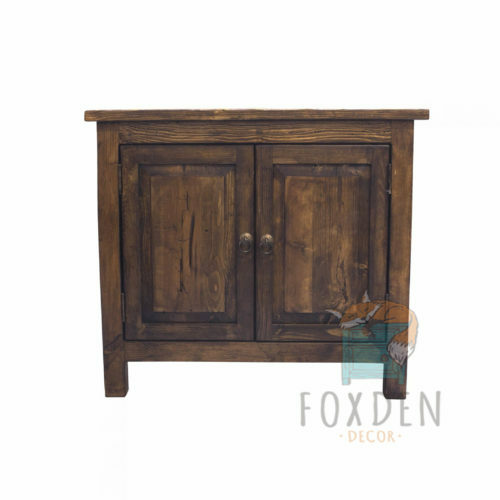 Strength and beauty collide in this vanity that features a salvaged door as its surface and heirloom quality construction. 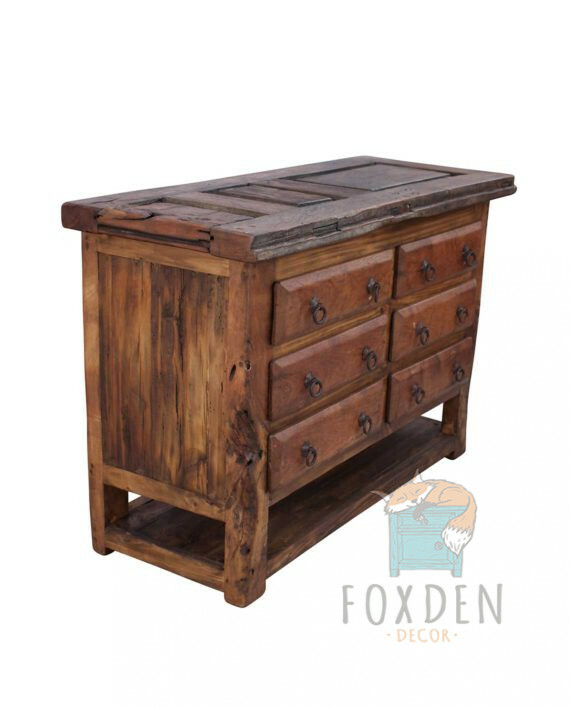 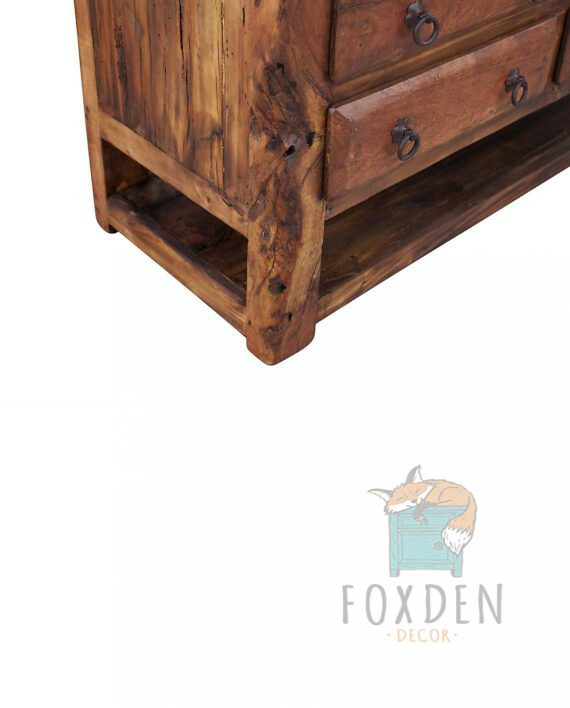 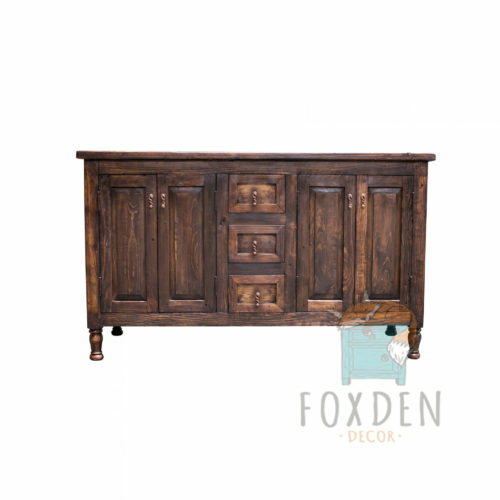 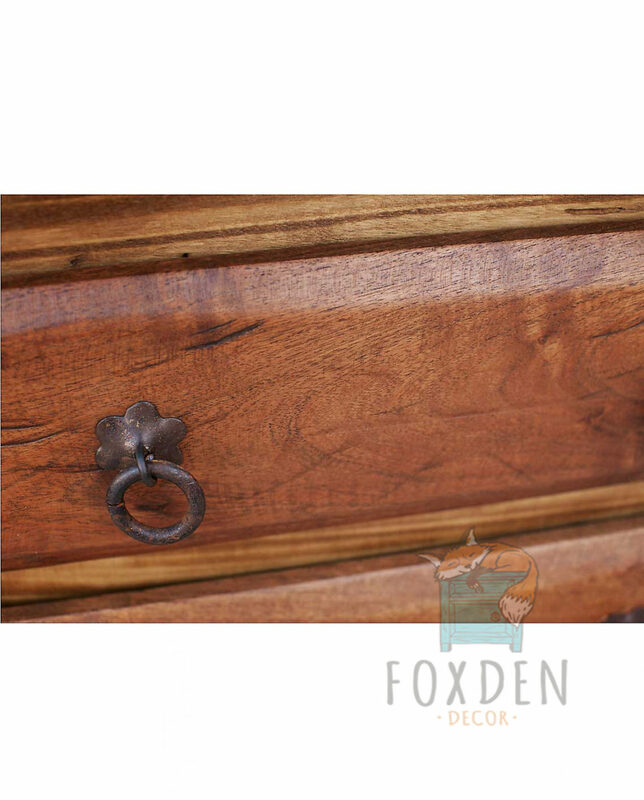 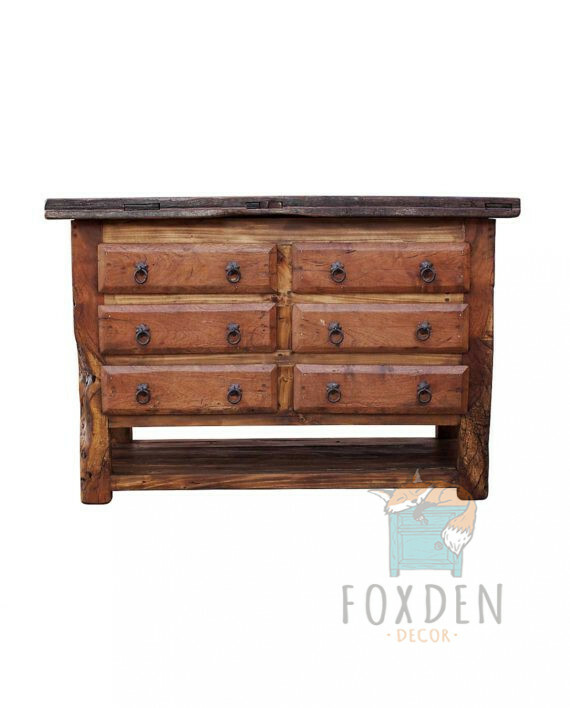 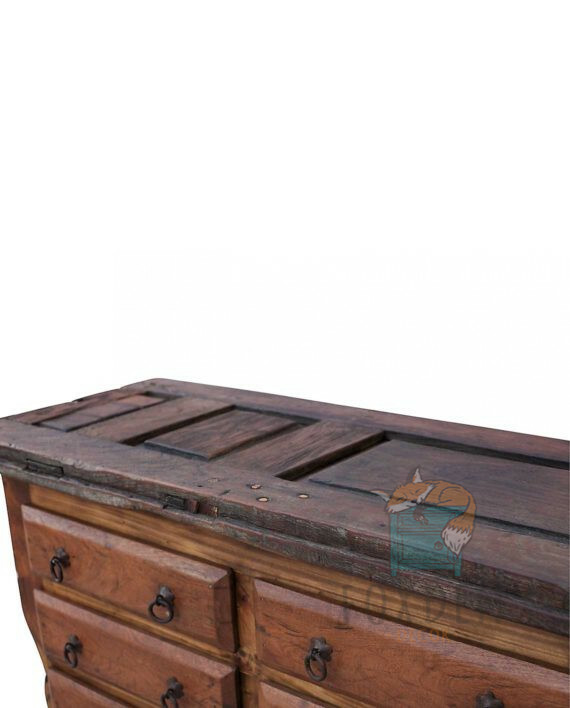 Made mostly from solid, mesquite wood and offering six drawers and a full bottom shelf for storage, this piece can work in a variety of spaces – functioning as a vanity in your bathroom, a TV stand in your living room or even a buffet table in your Dining Room. 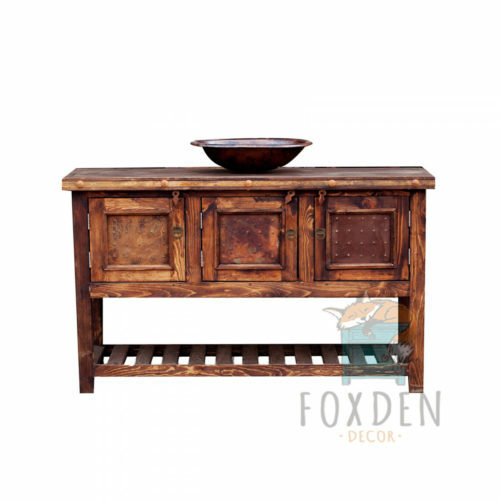 Clearly constructed with durability in mind, this vanity was built to last and intended to become a favorite piece that you will enjoy forever.